UPDATE: I think the phrase is “overtaken by events”! I’ll leave this here as a period piece, but as things stand, O’Neill won’t ,after all, be going to West Ham. It’s unlikely that Grant will hang on regardless, but no subsequent appointment will hold half the interest of Martin O’Neill’s. This is harsh on Avram Grant. As anyone who saw the Carling Cup semi-final first leg against Birmingham City knows, West Ham were beginning to find their feet once more. But, sympathies aside, this is the most interesting managerial appointment of the season so far, in that, unlike Dalglish’s at Liverpool, it says unequivocal things about football figures who might still be felt to have a future. Events at Aston Villa give one to think that O’Neill is still interested in success in his own career. 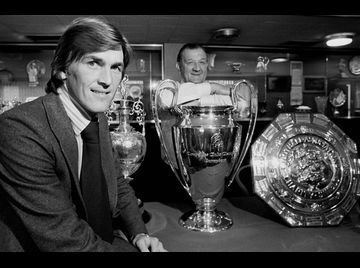 Dalglish is now a one-club man: there will be no further essays in life beyond Anfield. He may well rescue Liverpool, but it will be for Liverpool’s sake and not his own. O’Neill possesses no such natural home, and employs no such nostalgia in his thinking. In short, O’Neill doesn’t think his story is over. He’s not looking for a reprise or a return. At 58, he is still pursuing his career like a young man. Time and time again, the great British managers take over desperate, failing clubs and take them to unprecedented places. Stein at Hibs, however briefly. Shankly, at Second Division Liverpool. Busby, at a bombed-out Manchester United who had in any event spent the 20s and 30s watching their rivals at the great new stadium at Maine Road soak up the glory. Revie at Second Division Leeds. 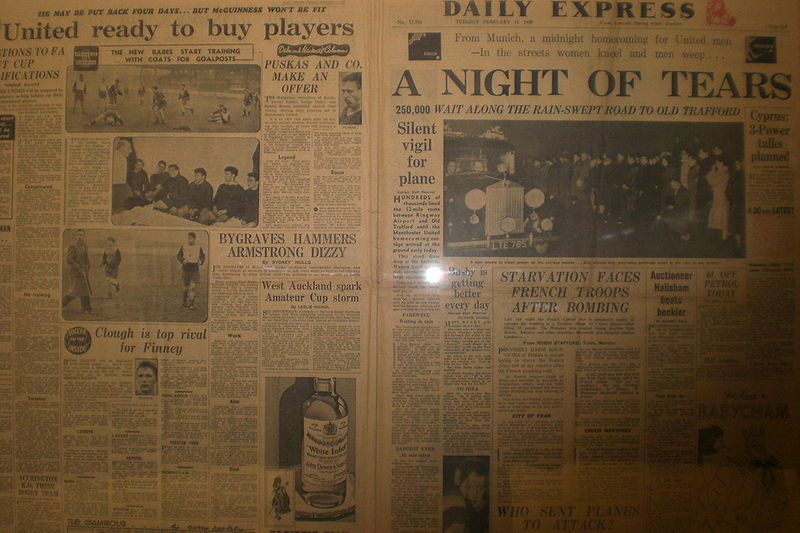 Clough at Second Division Derby County, and then again at Second Division Nottingham Forest. This has been Martin O’Neill’s model, but adapted to modern financial constraints and conditions. Like all these men, he has taken a club unexpectedly to a European Final. Unlike the others, he has yet to win either a title, an FA Cup or a European trophy. What’s changed is that the kind of club that can realistically consider those kinds of goals is no longer owned and managed in such a way as might give a man like Martin O’Neill room to breathe. The biggest clubs are now ownership nightmares. Randy Lerner is as good as the new breed come, and for O’Neill, it was not good enough. Even O’Neill needs time, and for new men at the top five or six clubs, there is no time anymore. What makes West Ham more than just a re-run of the Leicester City saga, however, is the potential of their players. Why West Ham? and Why Now? It must be frustrating beyond measure. Being a West Ham fan, I mean. Cast an eye over the England squad. Rio. Carrick. Defoe. Joe Cole. Frank Lampard. Defoe, Cole and Carrick were part of the West Ham team that were relegated not long ago with 42 points, running out of road on the last day of the season after a thrilling tilt at safety led by Trevor Brooking. Go back further. The television strike team of 1985 that so nearly went all the way. The 1980 FA Cup team: what was a side of Brooking, Devonshire, Allen, Pearson, Bond and Lampard senior doing in Division Two? Go back further: Hurst, Moore, Peters, Johnny Byrne. There should have been more than three FA Cups and a Cup-Winner’s Cup, and West Ham could be forgiven for feeling that they exist to bring up great players properly whose dedication and discipline (for the most part) then flourishes elsewhere. I thought it was all about to happen again. Noble, Sears, Collison, Tomkins, and the rest – especially the first two – were all emerging fast in what looked like another doomed team. Narrow relegation would, again, result in a fire sale. Once again, West Ham fans would find their remembered claret and blue hills turning up in Chelsea and Manchester United colours. Once again, the gratitude for a good career start would come in the form of words and fond memories, not as silverware at Upton Park. O’Neill’s arrival changes all that immediately. “West Ham now” is all about the high quality of their young players: he’s going there for them. Just for once, West Ham’s youth policy has drawn someone in. Too often, it’s been the other way round. You don’t have to go back to Emile Heskey – if Heskey is old enough yet to “go back to” at all. At Aston Villa, O’Neill was draw enough to get, and keep, some of the best young talent in the country. Since he left Villa Park, one question does for them all: whatever happened to Ashley Young, James Milner, Gaby Abonlahor, to the brave and honest Curtis Davies? Even after discounting form, injuries and (Milner) ill-advised transfers, there’s real loss of momentum here. Now that their mentor is back at another club, what will Marc Albrighton, Ciaron Clark and Nathan Delfounesco be thinking? They’d be advised to consider the experiences of Steve Guppy, Muzzy Izzet, Steve Walsh and Neil Lennon, men who prospered by keeping ahold of nurse, or who, in Izzet’s case, would have wanted to if they could. O’Neill, like Clough, has a track record of having players flourish under him – and only under him. The obvious question is, was he waiting for one of the big four to call? Liverpool could have done. Manchester United, often mentioned as a future home for O’Neill, now looks to be unavailable: barring the unexpected and accidents of trade, Ferguson will die in office. Chelsea see themselves in competition for coaches with Barcelona and Real Madrid: that’s not O’Neill’s world. Arsenal have had their O’Neill already and won’t have a vacancy for another: Wenger, like Ferguson, won’t move on now, seeing it as too late to start again elsewhere. Control, stability and security matter to Martin O’Neill: it is inconceivable that he would be sacked except by the new billionaire owner of a top four club. There is also the question whether he wants to deal with the astonishing tidal forces that money exerts on Chelsea and Manchester United: these days, you need to be interested in money for your own sake and its own sake to survive mentally in the Champions League places. That’s not O’Neill either. So his taking on West Ham might show that he no longer considers the so-called “big jobs” to be the desirable ones. Celtic was a real big job – it might be argued that he kept it that way himself by his own force of personality for longer than would otherwise have been the case. Both Rangers and Celtic now await a change in the financial weather and can’t move on until it comes. Furthermore, when O’Neill was at Celtic, it was a big job purely in footballing terms: what would the team achieve under him? would he emulate Stein, even in part? and of course he did, and showed the “pressures” of the job to be only an accurate measure of the talent of its holder. Celtic crushed good men before and after him – even a genuine hero like Tony Mowbray: O’Neill looked, sounded, and performed as if born to the role. I don’t know if the issue of the Olympic Stadium figures with Martin O’Neill. There’s a considerable time factor involved: the Olympic Games are, in playing terms, a season and a half away, and conversion works probably stretch that time to four seasons altogether. And then there’s the neighbours to consider: Spurs. That isn’t to say that the fate of the Olympic Stadium isn’t vital to both clubs. The stadium arms race of the Edwardian era is playing out again in our own time, and only clubs that can open capacity beyond 60,000 can hope to compete at the very top level. Stratford can be a get out of jail free card for West Ham, and it’s close enough to call home. But Spurs have the money, the clout, Beckham on board and the next England manager. If it came down to a straight battle between Redknapp and O’Neill, I know who I’d back. But it’s far from that. I really don’t know if this issue is on O’Neill’s mind at all. It would demand that he stay in post longer than he has been prone to, and it would create the mother of all distractions to the playing side of things (Wenger built the invincibles and Ashburton Gate at the same time, which speaks for itself, but he and O’Neill are very different men). Danny Dyer and everything of that kind aside, West Ham are a sunshine club, carrying a kind of indefinable good news around with them. It’s Malcolm Allison’s coffee shop school, talking tactics with young Moore and Byrne and pushing salt shakers around to prove a point. It’s the beautiful playing strip – not dissimilar to another one in Martin O’Neill’s past. It’s all those sunsoaked Wembley finals. It’s the deep family connections – the Lampards, the Allens. It’s the atmosphere of Upton Park under floodlights. It’s West Ham’s being in London, the greatest, most beautiful city in the world. That, and the presence of an exciting set of young players: it all adds up to two things. One, a club quite different from the ones O’Neill has managed before. It’s not Celtic’s sharks and icebergs. It’s not Aston Villa’s fear that the world was racing away without them. It’s not Leicester’s constant struggle for breath. And it’s certainly not Wycombe. 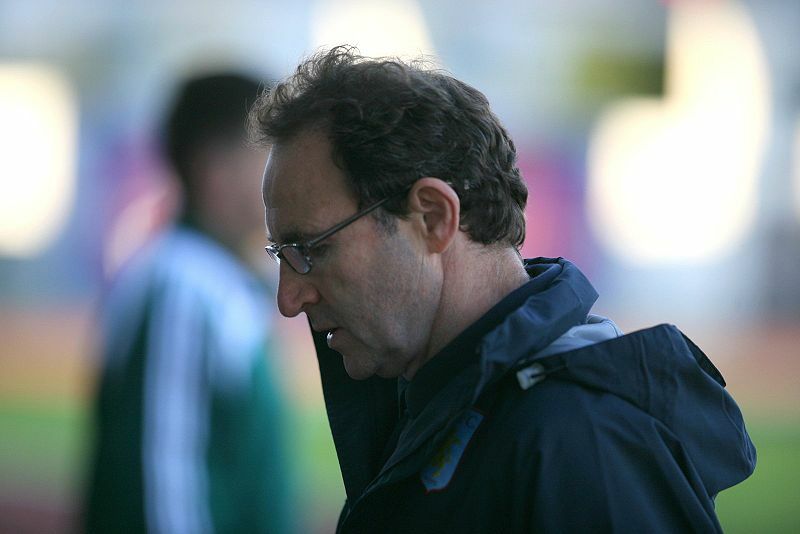 Two, O’Neill will finally be.. Martin O’Neill. Because everyone has been waiting for him to be Brian Clough. This is unfair: Clough was Clough from the get-go. No one was hanging about in case Old Big ‘Ead might eventually morph into Harry Storer. For some reason, for O’Neill to turn into Clough, he had to have the big job at the big club, in England. Or, indeed, get the England job, which would have made him just like Clough. (West Ham aren’t a leg up to that post, however: it’s Redknapp’s next, in sickness or in health). No, now it’s Martin O’Neill’s career that he’s having. An end to comparisons. Not, perhaps, an end to questions about how he might have got on at Manchester United. But there are younger managers than O’Neill who will have that one hung around their neck before Ferguson is through, and one of them, you know in your heart, is Portuguese. It’ll start, I imagine, with unfinished business: O’Neill will help West Ham finish the unlikely job of winning “his” trophy, the Football League Cup. His part in Villa’s losing final was only last year. Yet such a long time ago.